Trae Moxley almost felt like the learning curve to joining Colorado State’s offensive line this season wasn’t exactly curved in his favor. 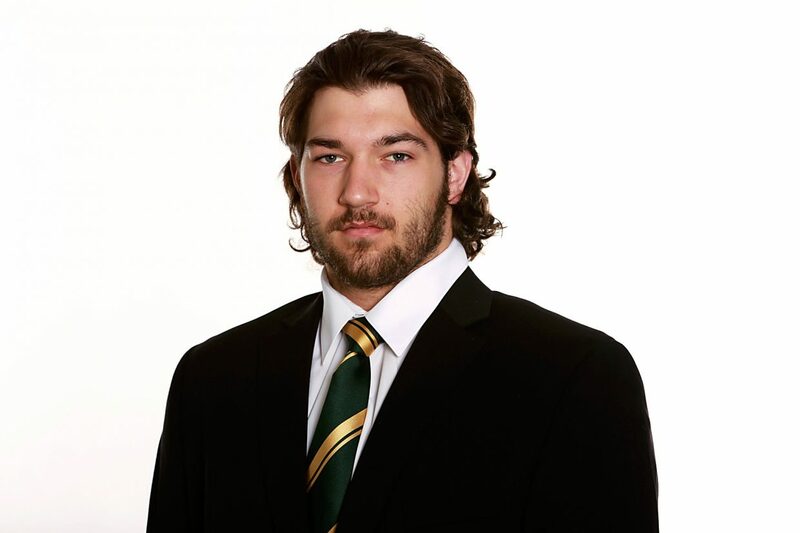 No doubt, the redshirt freshman for Colorado State was a standout for the Roaring Fork Rams as a tight end, finishing with close to 700 yards during his senior year. He was a three-year starter at his position in high school, and his sheer size and mobility helped convince CSU’s coaching staff to bring him to Fort Collins. Two years later, Moxley has made the transition to play left tackle for the Colorado State Rams, where he’s second on the team’s depth chart behind longtime senior starter Ty Sambrailo. He’s played in each of the Rams’ 12 games this season and has been a big part of a CSU offense that has produced 498 yards per game, which ranks 13th in the nation at the Division I FBS level. And it’s a sure bet that Moxley will be on the field again on Saturday when Colorado State (10-2) of the Mountain West Conference plays against Pacific-12 Conference opponent and 22nd-ranked Utah (8-4) in the Las Vegas Bowl. Kickoff is set for 1:30 p.m. Saturday. When Moxley was being recruited by CSU, Moxley never would have thought he’d be playing offensive line. After all, each of the Rams’ previous three coaches — Sonny Lubick, Steve Fairchild and most recently, departed Jim McElwain — had placed a heavy emphasis on big, pass-catching bodies on either end of Colorado State’s offensive line. But when Moxley got to campus, it was Moxley’ big body that held him back. Moxley (6-foot-5, 305 pounds) admitted that when he got to college, the proverbial freshman 15 most first-year college students go through became, for him, the freshman 50. After graduating from high school weighing around 255 pounds, Moxley said he showed up to summer workouts at close to 275 pounds. He kept growing and getting bigger and, after it became clear how saturated CSU’s pool of tight ends was, he asked the coaching staff about the possibility of moving to the offensive line. That, of course, came after Moxley spent his first season getting beat on as a redshirt scout team player. This season, after a successful showing during CSU’s spring football drills, he earned a spot on the depth chart right behind Sambrailo, who won first-team all-Mountain West accolades and is considered by some NFL Draft analysts as a potential first-round pick in 2015. Moxley is taking full advantage of the opportunity to play behind Sambrailo. “I’m just doing what I can to soak in everything that he could possibly teach me,” said Moxley, who with the position change could potentially be a three-year starter for CSU in the coming years. And to do that, it goes beyond standard stock blocks. Moxley admitted that the athleticism needed to play on the offensive line at the college level was surprising even to him. He’s learned enough to be among the team’s leaders in knockdowns, a statistic kept for offensive linemen measuring how many times they can, obviously, knock down an opposing lineman. And even after Saturday, Moxley wants to build on the success he’s already had — regardless of how long it lasts.